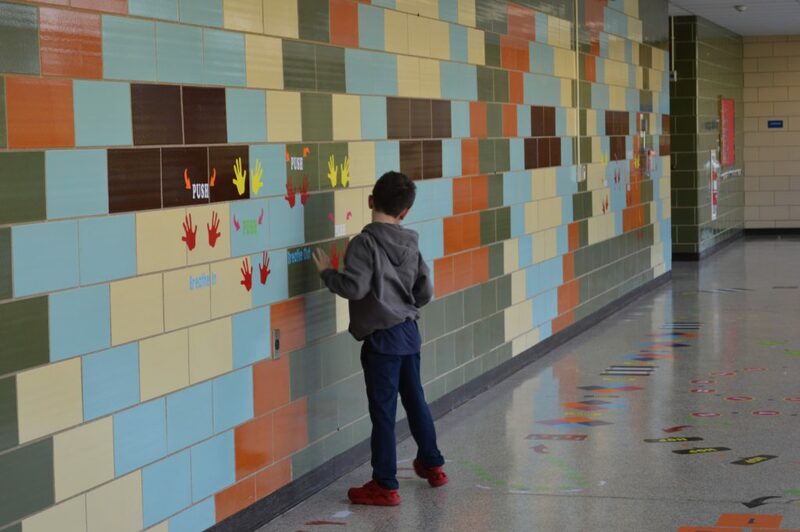 The open­ing of the Valley Sensory Path took place on Tuesday, January 15th at Valley Elementary School. 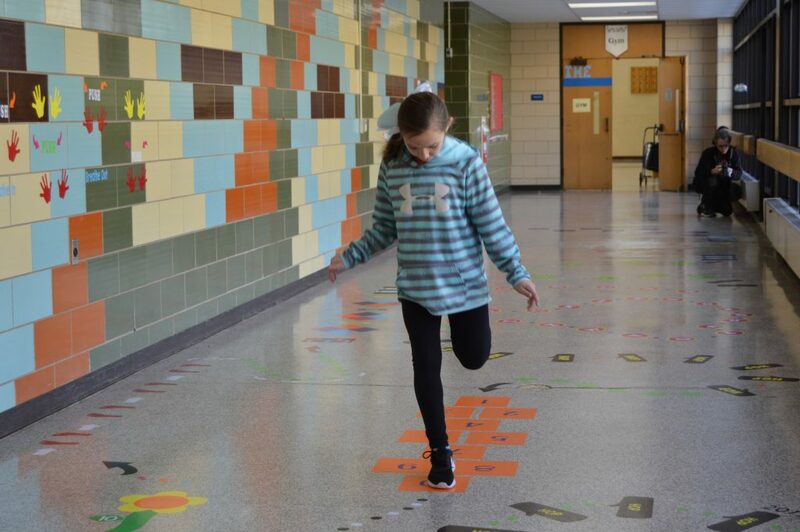 This Sensory Path is one of a few cur­rent­ly in schools. The Sensory Path con­sists of a series of fine and gross motor activ­i­ties where stu­dents are guid­ed to com­plete phys­i­cal move­ments that are sensory‐based, which help to increase focus and reg­u­late emo­tion. Research has shown that com­plet­ing these phys­i­cal move­ments pro­motes pro­pri­o­cep­tive sen­so­ry input, which builds con­nec­tions with­in the devel­op­ing brain’s neur­al path­ways. This will help the stu­dents stay calm and reg­u­late their bod­ies effec­tive­ly. “The sen­so­ry path will be used by Valley stu­dents to pro­mote a pur­pose­ful sen­so­ry break. This in turn allows stu­dents to com­plete learn­ing tasks with­in the class­room while hav­ing that sense of self‐awareness or self‐recognition,” states Joan Toller, school prin­ci­pal. Funding was sup­plied by the Just for the Kids Education Foundation (JFTK), a non‐profit orga­ni­za­tion which rais­es mon­ey to fund spe­cial, inno­v­a­tive projects in the nine pub­lic schools in the Bensalem Township School District.